Calculate the density of any object or substance by dividing its mass by its volume. You first have to measure these values, and there are certain tricks you might need to employ, depending on the nature of the substance you are measuring. To calculate the density of sugar water, for example, you will need a graduated cylinder. To measure the mass of the fluid, you'll need a balance. With those two numbers, calculating density is a snap. Pour a sample of sugar water into your graduated cylinder. Make a note of the volume of the sugar water by reading the marking on the side of the cylinder where the water level is. For instance, suppose you have 50 milliliters of sugar water. Measure the mass of your empty graduated cylinder with your balance. For instance, suppose your graduated cylinder has a mass of 100 grams. Measure the mass of your graduated cylinder with the sugar water in it. Use the balance again. Suppose your cylinder with the sugar water has a mass of 153 grams. Subtract the mass of the empty cylinder from the mass of the cylinder with the sugar water to calculate the mass of the sugar water. In the example, you would subtract 100 from 153 to get 53 grams. Density of sugar water = 53 grams / 50 milliliters = 1.06 grams per milliliter. The density of the sugar water would change if more sugar were added to the solution. Banas, Timothy. "How to Calculate Density of Sugar Water." 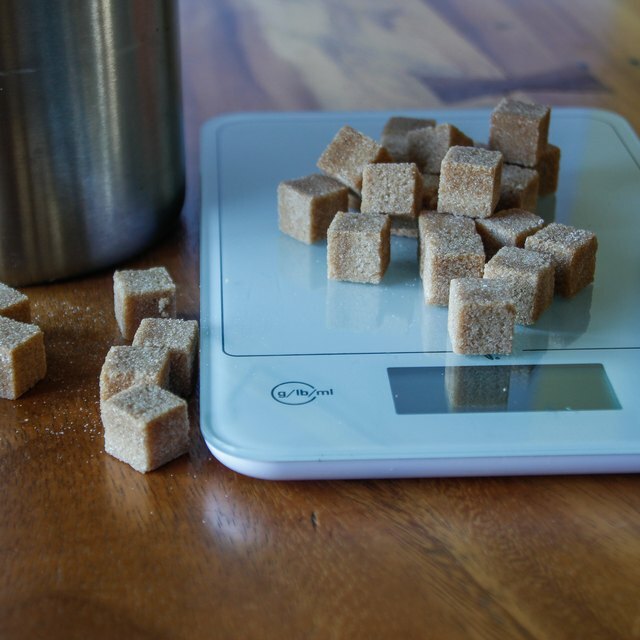 Sciencing, https://sciencing.com/calculate-density-sugar-water-6386189.html. 13 March 2018.